Marmite: you either love it or hate it. Or so the advert goes. Well, those that love it, really love it. Following Unilever’s recent row with Tesco, dubbed ‘Marmitegate’, consumers flocked to Twitter, signed petitions and complained loudly to news channels. Threatened with a 10% price hike for many of their best-selling brands, the retailer withdrew a significant number of Unilever lines from their shelves. Brits from Dover to Dundee were incensed; the press waxed lyrical about the episode as a post-Brexit portent of doom, and £3 billion was wiped off Unilever’s share price. You may like: What is a brand and why do you need one? 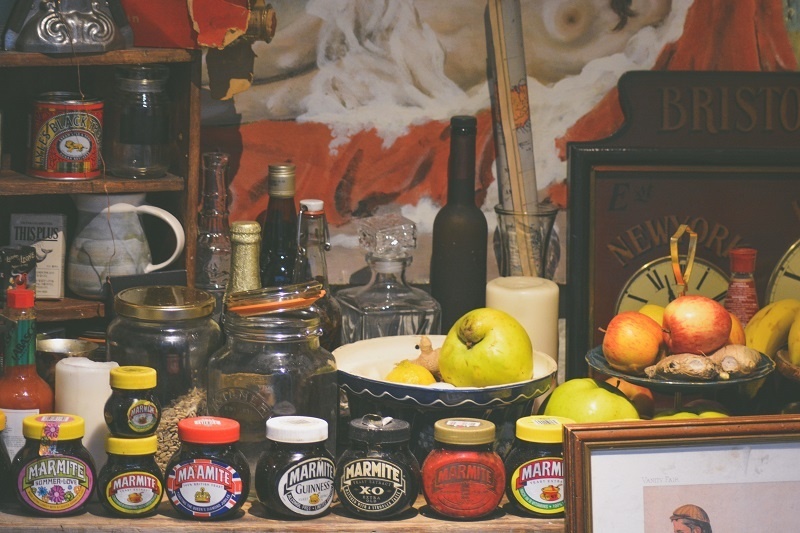 Today, we can rest easy: Marmite (and Ben & Jerry’s, and PG Tips) are back on Tesco’s shelves. But their prices have risen – despite the supermarket’s claim that the stand-off had been resolved ‘successfully’. The episode raises uncomfortable questions about market behaviour following the Brexit vote. More positively, however, the row demonstrates the important role brands can play in influencing distribution strategies – something all business owners should take note of for 2017. Put simply, Unilever was able to back Tesco into a corner thanks to the star power of their brands, actively and carefully nurtured over years. Unwilling to risk losing their customers, who Tesco believed would shop for their favourite brands elsewhere, the supermarket shrewdly came out fighting, positioning themselves as ‘champions of the people’ (or at least the High Street). In the short-term, Tesco dealt a decisive PR blow to their supplier. But the real winner was Unilever, who was able to make the retailer – and consumers – absorb their increased costs following the fall in value for the pound. The Tesco-Unilever price row should act as a valuable – if extreme – example of the market shifts to expect following the Referendum. The falling price of the pound means UK importers will increasingly be able to squeeze their British suppliers, as Unilever have done. In the weeks since the row, Morrisons have also increased the price of their Unilever goods by 12.5%, following pressure from the manufacturer. UK businesses need new tools to fight this pressure. Building a solid, strongly performing brand should be their first line of defence. A well-considered brand provides leverage for businesses in price negotiations – for both suppliers and distributors. Suppliers can be persuaded to lower their prices to be stocked by a retailer with brand gravitas; distributors can command a premium for branded goods which drive customers to stores. Consider the survival of Asda, Tesco and Sainsbury’s against Aldi and Lidl. Despite offering near-identical products at higher prices, the supermarket old guard has (so far) fought off the challenge – in part because of their own brands and the power of the brands they stock. Brand equity is the reason luxury businesses can command high prices, even when sold via distributors which strip away the outward trappings of their brand. Think Burberry selling on Amazon. For many high-end B2C businesses, the power of their identity – and therefore their shelf price – is in direct inverse correlation with how widely they are distributed. B2B and B2C businesses alike should today focus on planning, building and maintaining their brand. Consistency is key – and the fact that brand strength offers a direct correlation with a business’ profits is a bonus. As markets slow with Brexit uncertainty, business owners must wake up and gather their weapons. ‘Marmitegate’ – while an outlier case – demonstrates the real value of brands in pricing and channel negotiations. So business owners: cultivate your brand; use it; love it.